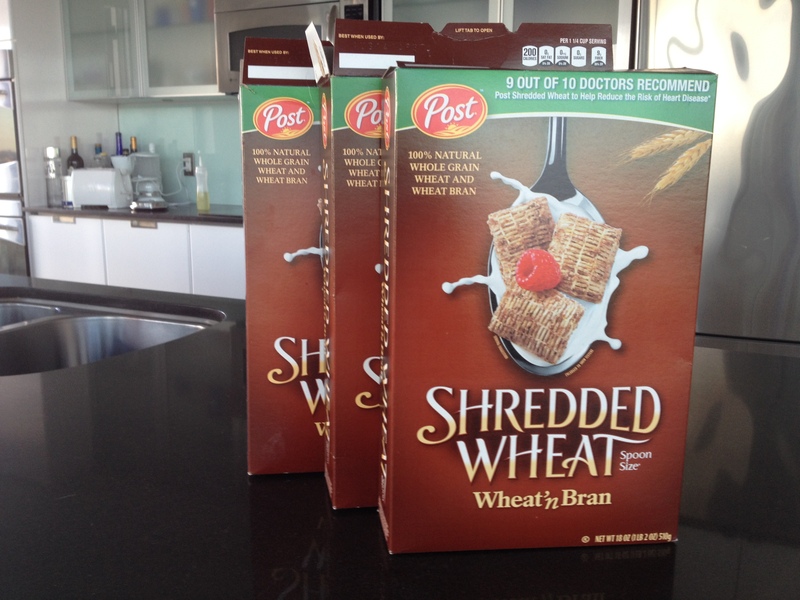 Shredded Wheat is another of my staples, and I eat it by the box. Well, I probably buy a 0,5 kg box every 5 days, so I guess I only eat 100g/day, or 400 calories/day. I eat it straight out of the box, or if I slow down, I’ll get out the almond milk, banana, and blueberries. I almost never eat it for breakfast, since I make potatoes or have a veggie burger in the morning. I eat the cereal after dinner, usually just before bed.